The compressed activated carbon block made in the USA. 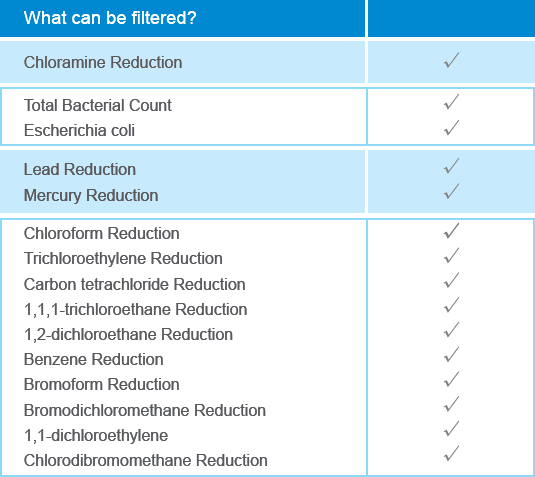 A pore size of 0.5 micron, the filter can absorb chemicals and contaminants mores effectively. At the same time, keeping the necessary minerals we need in our drinking water. Silver Lining Nano Technology Membrane is on the outer layer of the carbon block is used to absorb heavy metals while sterilizing up to 99.9% of micro-organisms. Patented anti-leak check valve technology: Water source is not required to be turned off when replacing filter. Quick and easy installations. 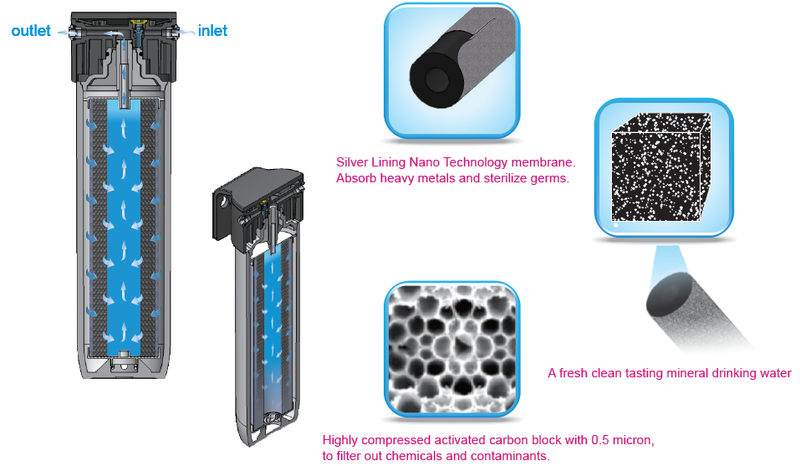 Silver Lining Nano Technology membrane: Patented to absorb heavy metals and sterilize germs. In the case of a flow rate becoming low due to poor water source quality, please replace with new filter.